Home | Basketball | Packed House at Homecoming! 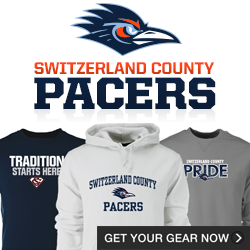 Pacer Pride is all over the place as the Pacers take on their Rivals on the River, the Shiners of Rising Sun. Student section is overflowing especially the new Pacer ESPN Booth!